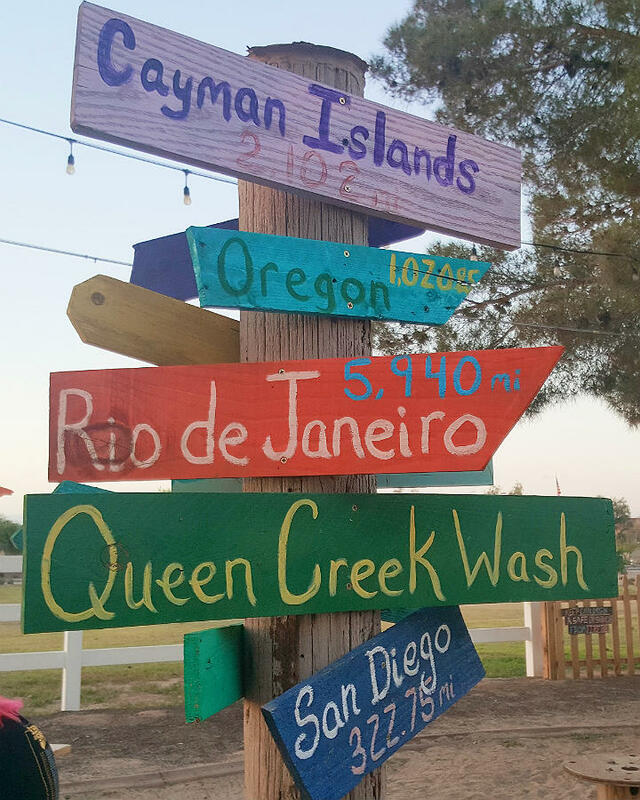 The Creek Side Taco Shack is a local taco shop in Queen Creek, AZ. It’s the kind of place that you’ve driven by so many times and often wondered about. Over the years there have been different restaurants to give it the old neighborhood try, but never quite seemed to gain the traction. The location is both strange and genius. It feels as if it doesn’t belong, but as the area grows and the walking/biking paths continue to expand the neighborhood connectivity, it almost becomes exciting! Lately, the view from the car window has been different. You see lights overhead, misters cooling, crowds lounging, bodies bellied up to the outdoor bar, people walking up the neighborhood paths towards the venue, horses tied to hitching posts (yes, literally), cars in the parking lot and volleyball nets! Ok, we have to check this place out...so we did. 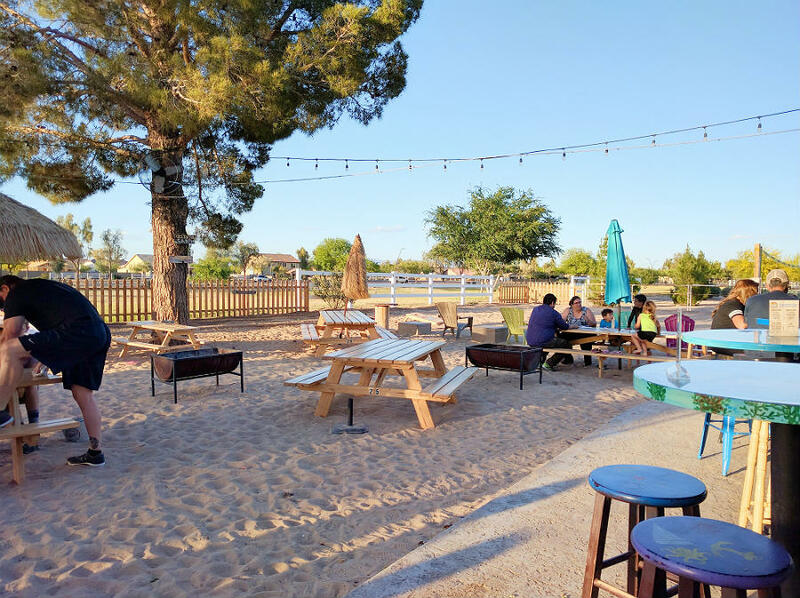 The atmosphere is super casual with tables in the sand, an outdoor bar, sand volleyball and plenty of room outside for expansion. There is also seating available inside, but on this beautiful Arizona evening, outside wins. The staff was friendly and the food was great. We only tried a couple menu items (smoked pork carnitas, grilled shrimp tacos), but there will be plenty of time for everything else! We have been long time supporters of neighborhood local business and what they bring to communities. 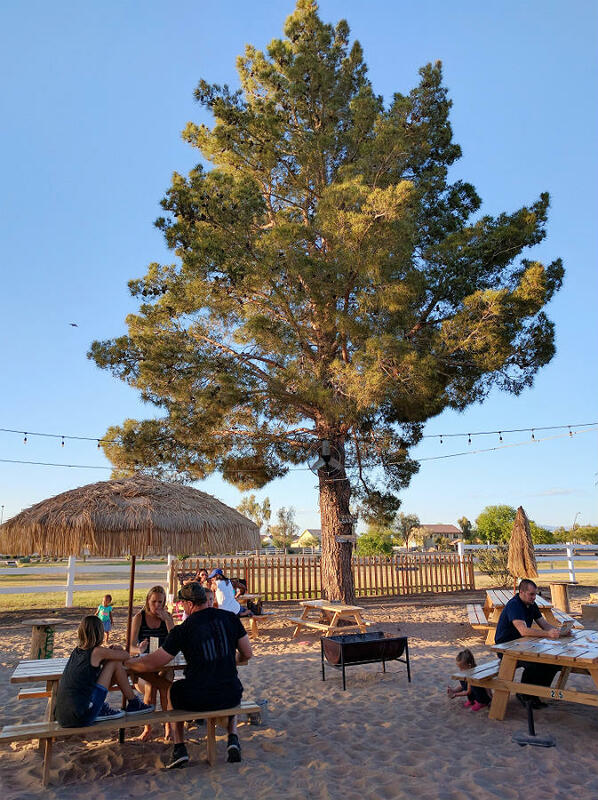 The Creek Side Taco Shack encompasses an important role in the way we think of bringing the community back to our neighborhoods. I’m sure the good people in the surrounding neighborhoods embrace this wonderful little corner of their world and will continue to support!